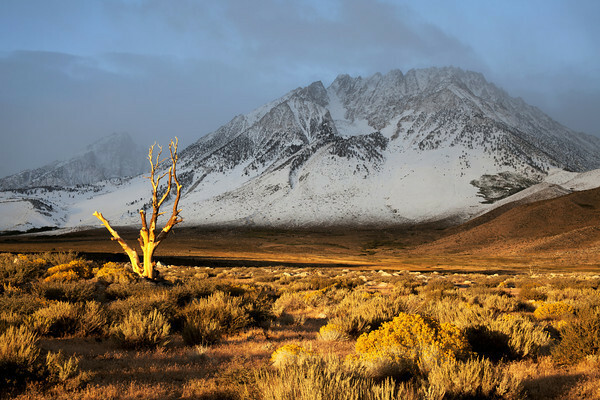 This image was made in the Eastern Sierra just above Bishop, Ca. in the Buttermilk's. The Buttermilk's is a favorite among rock climbers, campers, and off road enthusiast's.I was exploring the area in the early morning and came across this scene. Just after sunrise the sun went behind a cloud and a beam of light front lit the tree and kept Basin Mountain in shade.